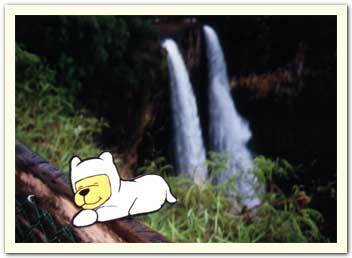 Bumperpup takes a quick rest near the waterfalls of Kauai. June 2003. Photo taken by Vicky H.